Matt and Rebecca at North Tabor Farm wear t-shirts that say, “Buy Local, Seed Community.” Their approach to farming and their commitment to the island community is as important as producing good, sustainably grown food. Their salad mixes grace the menus of many Island restaurants, and they are active in the mentoring of young agricultural hopefuls. And, their Shiitake mushrooms are not to be missed! 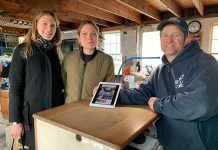 North Tabor Farm is a small, diverse family farm, owned and operated by Rebecca Miller and Matthew Dix since 1994 at their property on North Road in Chilmark. North Tabor is perhaps best known for its gourmet blend “salad mix” and shiitake mushrooms. 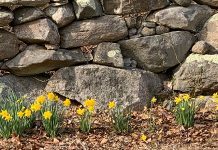 They also provide restaurants, markets, the North Tabor Farm stand, and caterers with a wide range of specialty vegetables, cut flowers, and pastured, organically fed chickens. In addition, Rebecca and Matthew mentor young farmers as they contemplate farming as a career. 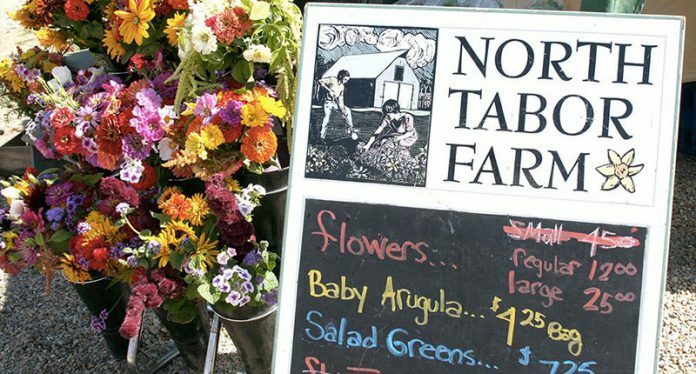 North Tabor Farm has begun collaborating with island caterers/organizers to offer private tours. Rebecca and Matthew are passionate about small-scale farming, sharing their knowledge, and using local food production to enhance the fabric of the island community.